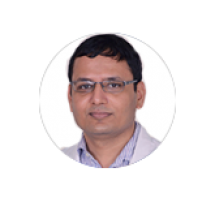 Dr. Naithani has immense experience as a Hematopathologist in treating all types of Cancer patients in leading centers in Delhi. As a Professor of Medical Oncology, his main areas of interest include allogenic and autologous bone marrow/ stem cell transplantation and benign hematological disorders. He has done Doctor of Medicine (DM) in Clinical Hematology from AIIMS, New Delhi in 2009.